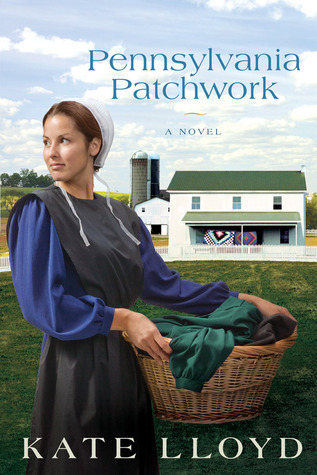 Pennsylvania Patchwork by Katie Lloyd is the second book in the Legacy of Lancaster Series. Seattle native Holly Fisher is smitten by Lancaster County, its simplicity and her long lost relatives. In the sequel to bestselling Leaving Lancaster, Holly embraces the Amish culture, learning to slow down to see what - and who – really matters. Meeting the family that her mother had kept hidden from her, Holly comes face to face with her real life and blood legacy. She also falls for the charming Zach, a handsome Mennonite veterinarian who is everything she’s ever wanted in a husband: confident, kind, successful, and authentic. And Zach proposes marriage. Is this too soon? Is this the right choice? Mother and Amish grandmother think she’s rushing into too much of a lifestyle change. Holly is in love with Zach and that precludes everything. Until she meets an attractive Amish man. And an old suitor shows up. This is the first book in the series that I have read and it can easily be read by itself. The story line is a bit of a love triangle and at times it was difficult for me to follow. The characters I couldn't really relate with. The mother figures in the story were entertaining at times but the romance and setting were not my favorite. It is full of drama, a little too must for my taste. If you like romance/family drama and Amish life you will like this book. The main aspect of this book is confronting your past and moving on with the future.